Yesterday, a Cuban court sentenced pastor Ramón Rigal to a year in prison for homeschooling his children. Ramón’s wife, Adya, was ordered to spend a year under house arrest. According to Ramón, authorities used the three-hour trial more as a platform for denouncing alternatives to state education than as a venue for delivering justice. Ramón and Adya Rigal have been sentenced, but are appealing their conviction. 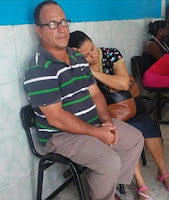 We are asking our members and friends to join us by signing a petition to the Cuban government to respect the rights of parents to homeschool their children and to cease its prosecution of the Rigal family. The Rigals decided to homeschool their children earlier this year in order to remove them from an environment where they were being bullied and indoctrinated in the state school system. In February, the couple were arrested and charged with contributing to the delinquency of minors for failing to send their children to state schools. Ramón said he had intended to present a defense at the trial based on Cuba’s constitution and various international human rights treaties the nation has ratified. But his efforts were curtailed as authorities focused on defending the state system. “When I tried to tell the judge about my evidence or to say that the government was acting unfairly, the judge told me that if I continued to speak she would have me removed from the courtroom,” Ramón said. The court relied instead on what appeared to be scripted presentations from state employees drafted as witnesses: a school director, school psychologist, teachers, and a juvenile probation officer. The prosecutor asked them all the same basic questions and received the same answers: that only trained teachers are qualified to inculcate socialist values. Ramón’s account of the trial was distressing, but not surprising. It was just about what one expects from the communist courts of Cuba—anything but justice. Their jurisprudence reflects a disregard for accepted principles of due process and the rule of law, as well as Cuba’s international human rights obligations. The outcome could have been worse; the Rigals faced up to eight years in prison and risked the state taking custody of their children. They were also given three days to appeal. However, finding attorneys willing to help them challenge a legal system overseen by the ruling Communist Party presents a major difficulty. Communist governments do not appreciate lawyers who are willing to defend people whose human rights have been violated. Officials in communist China recently arrested hundreds of lawyers who were then accused of disloyalty for denouncing abuses by the government. His wife added that she fears not only for the future of their family but for the congregation Ramón pastors. Although Ramón would prefer to remain in Cuba, he hopes that the United States may offer refuge to his family since the Cuban authorities are determined to jail him rather than allow him to homeschool his children. Home School Legal Defense Association will continue to support the Rigals, and we encourage the global homeschooling community to affirm the parents’ right to teach their children at home. The Rigal family are a courageous example to all of us who enjoy the freedom to homeschool our children. They are standing up to a totalitarian government that—no surprise—represses home education despite having signed international agreements urging respect for freedom of conscience and parental rights. Democratic countries like Germany and Sweden that similarly repress home education should question their policies, which are as draconian as communist Cuba.